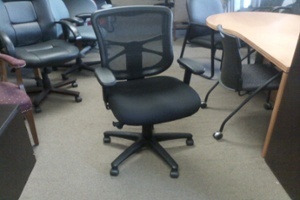 We carry all models of chairs including executive, conference room, stacking, cafeteria, mesh-back, leather, guest, and task. From 1 to 1,000 we have the solution. 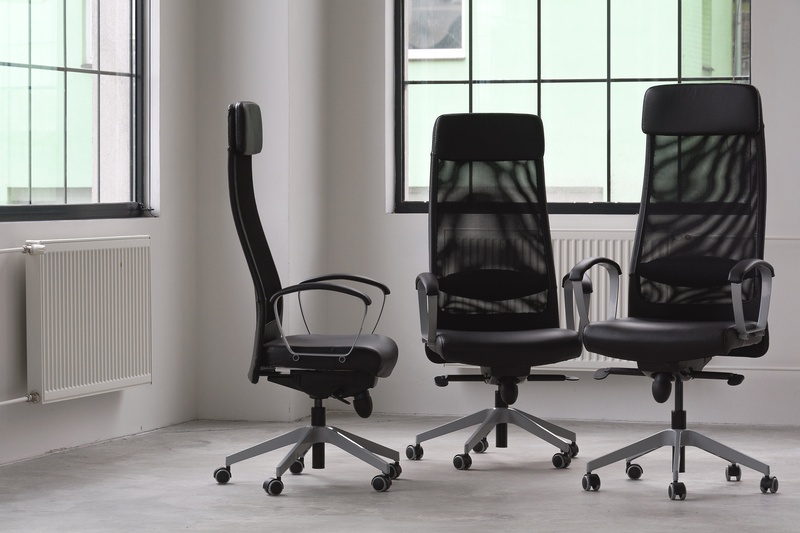 Get the right chair for the right price. 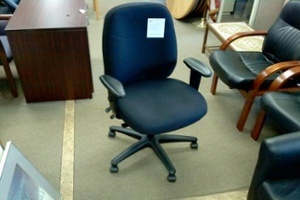 Below is a very small sample of our inventory as we often stock hundreds of office chairs. *Like new. 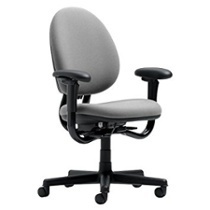 Many ergonomic controls/adjustments including seat slider/seat depth, multi angle and height adjustable back. *Like new. With arms, on wheels. Basic adjustments. *Like new with multiple adjustments. *Excellent condition. 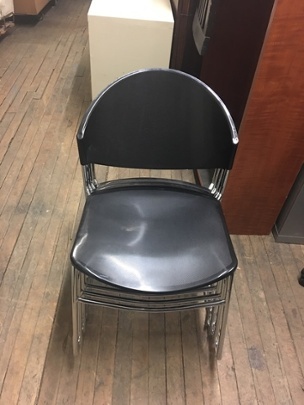 Heavy duty chair. 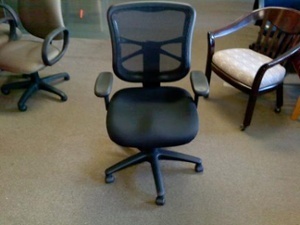 *Top of the line office chair. High back with multiple adjustments. 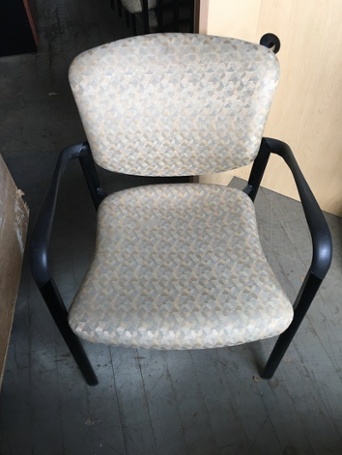 Used, but in excellent condition. Just received 150 of them from a Fortune 500 company. 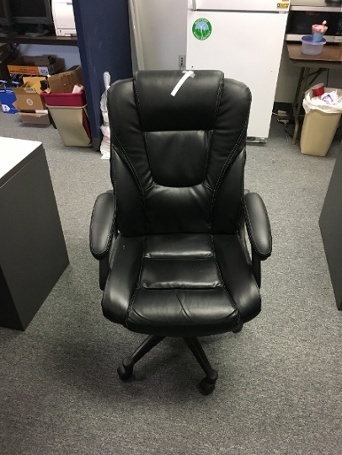 A steal at $199! *Excellent condition. 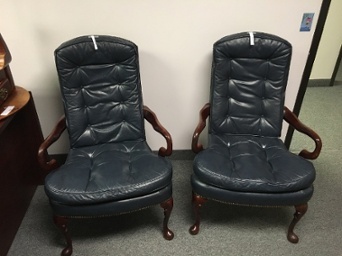 Large amount of cushion and padded arms. *Classic and elegant with a traditional style. All leather in Navy Blue. Mahogany wood frame - broken but rest is in great condition. Matching end table available. 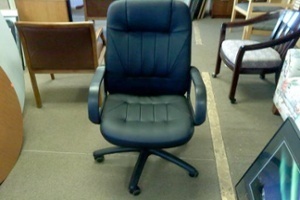 Need an office chair? Get in touch with us below. Our goal is to provide you with an exceptional experience and save you some money along the way.